Rabindranath Tagore called it a “teardrop on the face of eternity”. He was referring to the Taj Mahal, often described in more pedestrian if less maudlin English as perhaps the world’s greatest monument to love. When one has a “monument to love”, one suspects that the narrative is no longer only about love—but let that pass, for the moment. The Government of India’s own webpage on the Taj Mahal adverts to Tagore’s characterization of the Taj as a “teardrop on the cheek of time”. If time and eternity were one and the same thing, we wouldn’t have any need for the hundreds of philosophical tomes that have been written on time and its interpretation. (I have not been able to locate the original text in Bengali, if there is one, from where the remark attributed to Tagore may have lifted.) Whatever else Tagore may have meant, I suspect that he would not have been disinclined to consider the Taj Mahal as a poem to love in stone. My late friend, Teshome Gabriel, whose own piece on “stones” dazzles and sparkles more than most diamonds, had not taken the Taj into consideration when he was writing on the life of stones. But we have come to a different pass. Now some idiots, egged on by the Chief Minister of Uttar Pradesh, Yogi Adityanath, have called for the Taj’s removal if not destruction. Some are moved by the thought that the Taj Mahal sits, so they think, on top of what was once a Hindu temple; others allege that it is not “Indian” enough, by which they mean of course that there is far too much in the Taj of foreign origins. The Taj is associated, in their mind, with Muslims; and Muslims, in turn, call to their mind terror not love. To describe Adityanath and others who share his view of the Taj Mahal as philistines is to given them more credit than they deserve: their conduct partakes of the barbarous in various respects. 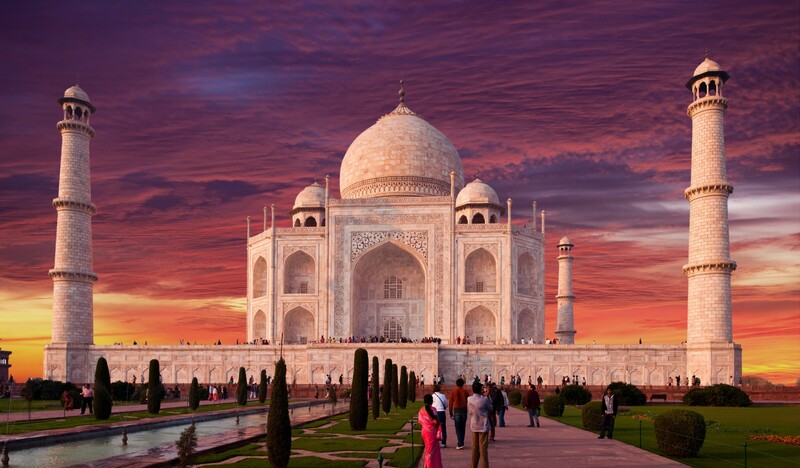 It should be recognized, however, that some Indians are alarmed by the wholly pragmatic (and, by the yardstick of the economy-obsessed modern world, not insignificant) consideration that the Taj Mahal is India’s largest foreign and domestic revenue earner among tourist sites. Yogi Adityanath is, speaking in something like a neutral idiom, a “colorful” character. Rascals may sometimes be colorful; the same may be said even of some rulers, otherwise alleged to be despots or even tyrants, such as Muhammad Shah ‘Rangeela’ (Emperor of Hindustan, 1719-1748) and Wajid Ali Shah, the last Nawab of Awadh. Of Robin Hood, for instance, it may be said without much controversy that he was a colorful character. Adityanath is only colorful because he is bizarre, a firebrand, and utterly shorn of ideas and yet capable of producing mirth—though not among his followers, most of them the kind of ruffians dressed in polyester who loiter about public thoroughfares while scratching their crotches and making a nuisance of themselves. (This is not to say that there are no khadi-clad scoundrels.) Adityanath is among those “leaders” here and there who have expressed solidarity with Trump’s ban on the entry of Muslims from several nations into the US and called for India to emulate the leader of the free world, though I doubt very much that the White House has paid any attention to this militant Hindu youth leader turned into politician. This entry was posted on Monday, March 12th, 2018 at 00:01	and is filed under Uncategorized. You can follow any responses to this entry through the RSS 2.0 feed. Both comments and pings are currently closed.